Which Metal Roofing Material is Right for Your Home? At Classic Metal Roofs we pride ourselves on our expert craftsmanship, wealth of knowledge, and high-quality metal roofing choices. 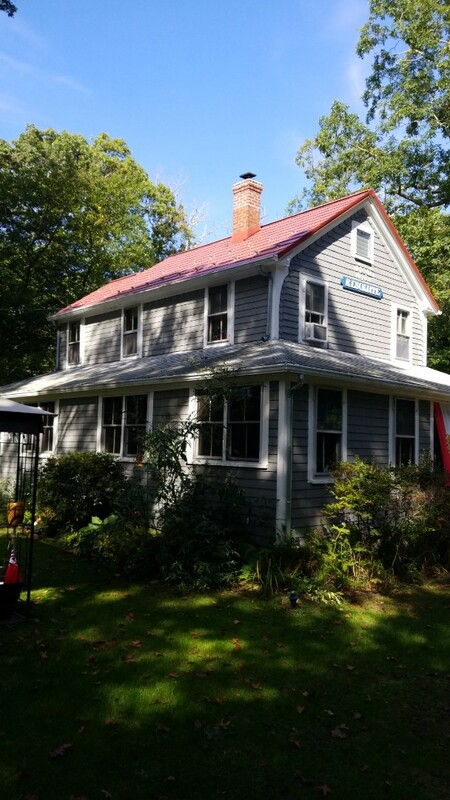 With over 3 generations of building experience and over a decade of servicing the New England area as a metal roofing company, you can feel confident in the service you are receiving. It is important that you choose a metal roof that matches the style and architecture of your home, at Classic Metal Roofs we offer expertise in choosing the right roof for your home along with many styles and color options! 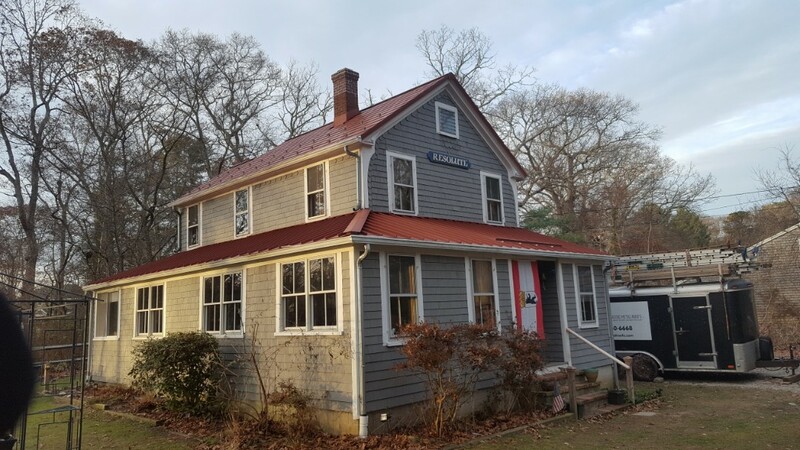 An Aluminum metal shake or shingle roof offers a great traditional look for your Plymouth, MA home coupled with the strength and durability of metal. Classic Metal Roofs offers slate and shake style aluminum metal roofing in most of the same colors as traditional shingles. This style metal roofing is lightweight, easy to install and replace, and is an environmentally friendly option when compared to asphalt shingles! Featuring continuous runs from the ridge of the roof to the eaves held together by discretely concealed fasteners, a standing seam aluminum metal roof offers a clean, streamlined, look for your home. 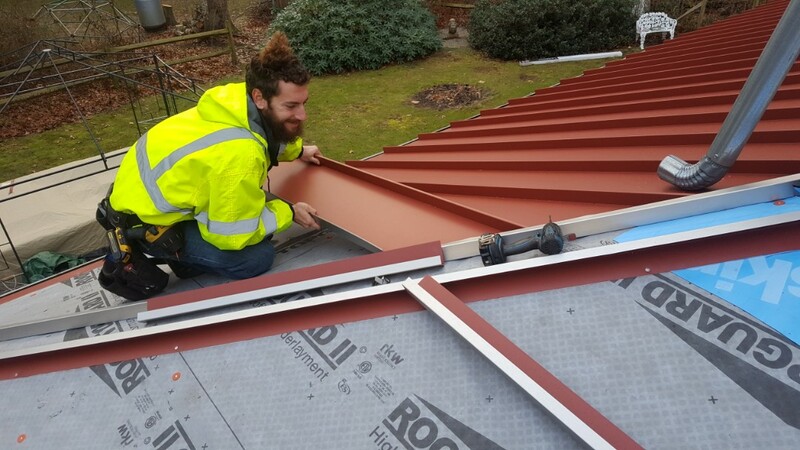 Thanks to its continuous construction this lightweight metal roofing option offering impressive strength and a completely watertight surface. A standing seam aluminum metal roof is easy to maintain, offers a long lifespan, and is perfect for homeowners looking for a sleek, modern profile. 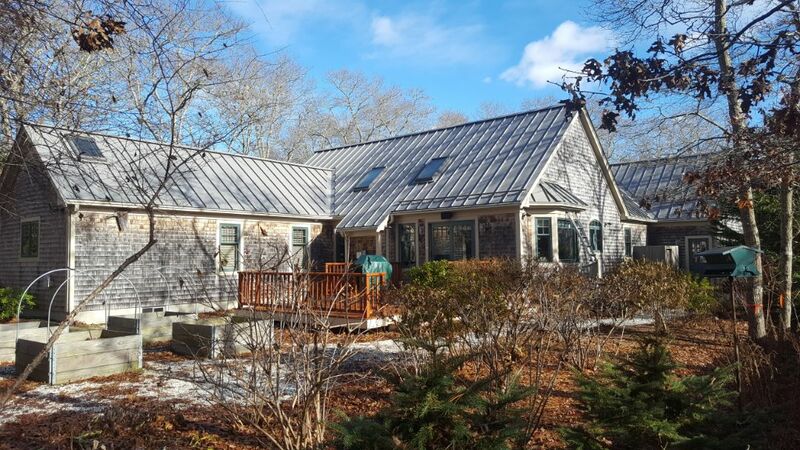 Choosing a material such as copper or zinc for your metal roof is sure to give you Plymouth, MA home the distinct look you desire. Copper and zinc are high-end metal choices that add an unique design flair to any home. Over time the cooper and zinc metal roof will develop an eye-catching patina that gives your home a unique flair that actually changes over time! Both metals offer a lifespan of well over a century, potentially longer for cooper, and are 100% recyclable. Classic Metal Roofs offers custom designed and fabricated copper and zinc metal roofs. Increase your home’s aesthetic appeal with the last roof you will ever need! Contact us today at (866)-303-2002 or complete our online form for a free quote. Driving by a job we did 2 years ago in east Falmouth Mass. Oxford slate done 5 years ago. Ready for some standing seam on the wrap around hip roof.